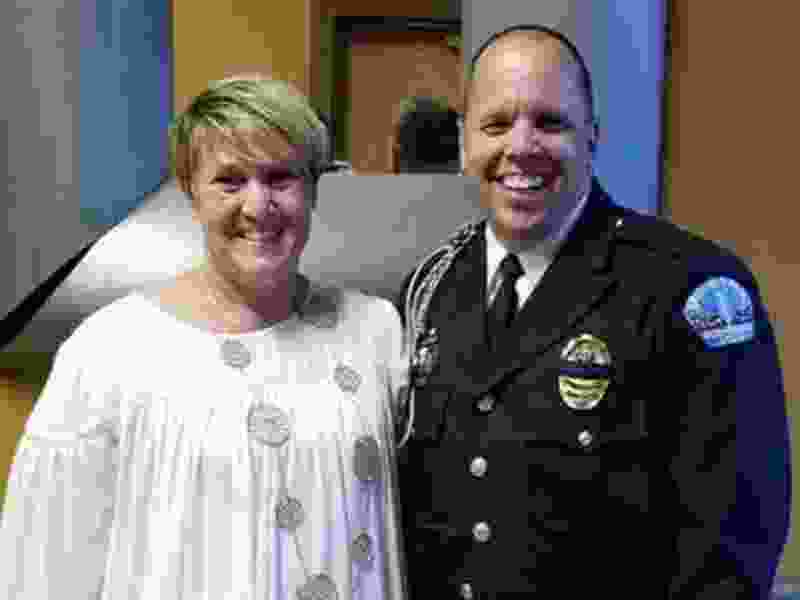 The assistant police chief for Brigham City died Friday in a Salt Lake City hospital after having a brain aneurysm and stroke during his annual physical fitness test last week. Dennis Vincent was airlifted to the University of Utah’s Neuro Critical Care Unit after collapsing during the test. He underwent brain surgery, and doctors discovered a second aneurysm during the operation, according to a post on the police department’s Facebook page. After the surgery, Vincent was in critical condition. During his stay in the hospital, medical staff tried to keep pressure from building in his skull. The police department reported ups and downs in pressure throughout the week, with pressure spiking Thursday night before being brought back under control. Vincent died the next night. Vincent is the 143rd Utah police officer killed in the line of duty — in this case a department-mandated annual fitness test. He is the fifth to have died from a medical condition, said Sol Oberg, Utah Law Enforcement Memorial president and Kaysville police chief. “Although it’s not traditionally what we associate with a line-of-duty death, some of these things are required of us. … It’s just like any other duty that they have to do,” Oberg said. Oberg added that Vincent was in great shape. A brain aneurysm — a weak or thin spot in an artery that bulges or balloons with blood — can occur in anyone at any age, according to the National Institute of Neurological Disorders and Stroke. Some genetic conditions contribute to higher risk of aneurysm. A procession brought Vincent’s body from Salt Lake City back to Brigham City on Saturday morning, going past the state Capitol on their way. “Vinny [Vincent] would be honored going by the Capitol,” police said on their Facebook page. The last Utah police officer to die in the line of duty was Eric D. Ellsworth, a Utah Highway Patrol trooper. He was killed Nov. 22, 2016, when he was hit by a car while trying to fix an electrical cable sagging over a highway. Brigham City police haven’t released the details of Vincent’s funeral.